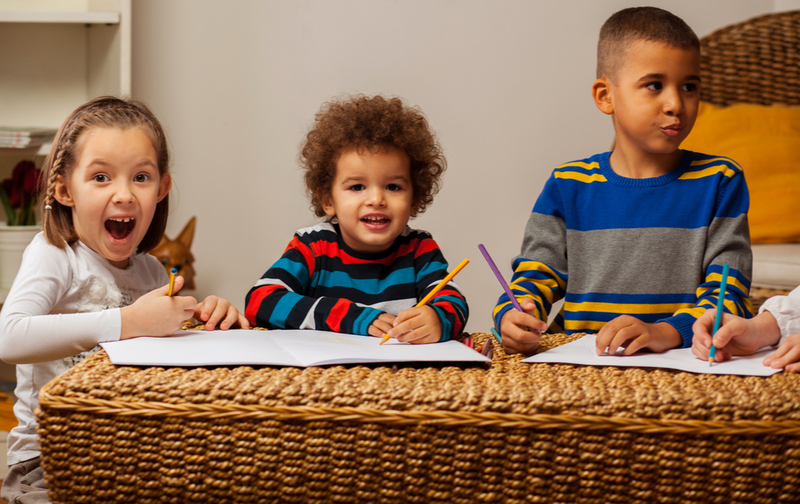 Child Care and Development Block Grant (CCDBG) - the federal grant that supplies child care subsidies for low-income working families and funds to improve child care quality. Delaware Institute for Excellence in Early Childhood (DIEEC) - located within the University of Delaware's Department of Human Development and Family Studies. DIEEC houses Delaware Stars for Early Succcess and professional development for early childhood educators. Licensed Early Care & Education and School-Age Centers (Center) - Child Care Centers are in a business location and serve 13 or more children. They include child care centers, preschools, and before/after school care. Centers are licensed for a total number of children. Staff to child ratios and maximum group size must be maintained based on the youngest child present in the group. Ages served, philosophy, curriculum, costs, and services can vary from one center to another. Licensed Family Child Care (FCC) - Family child care is in a licensed home. Up to 9 children can be cared for at one time. The number of children allowed depends on two things. First, the ages of the children present at any given time. Second, the provider’s level (Level I or Level II) is determined by their training and experience. It can vary from 1 to 6 infants through preschool-aged children and 1 to 3 school aged children. Licensed Large Family Child Care (LFCC) - Large family child care is in a licensed home or business location. The number of children allowed depends on the ages of the children present at any given time. It can vary from 7 to 12 infants through preschool-aged children and 1 to 3 school aged children. Depending on the number of children and their ages there needs to be one to three staff members. National Association for the Education of Young Children (NAEYC) - a nonprofit association in the United States representing early childhood education teachers, para-educators, center directors, trainers, college educators, families of young children, policy makers, and advocates. NAEYC is focused on improving the well-being of young children, with particular emphasis on the quality of educational and developmental services for children from birth through age 8.
sustantiated child abuse - the results of an investigation with findings that confirm physical, mental, or emotional maltreatment of a child; sexual molestation of a child; or depriving a child of necessary care, which either caused serious harm or created a substantial risk of serious harm.